We have reduced the loading time of all our sessions. We fixed a few bugs and improved the app design and ease of use! Do not hesitate to give us your thoughts and feedbacks at contact@pause-app.org. Take a deep relaxing breath with Pause. Through mindful meditation, we move toward peace, leave behind stress and unpleasant emotions, and enhance our lives. We become gradually calmer, healthier - happier. 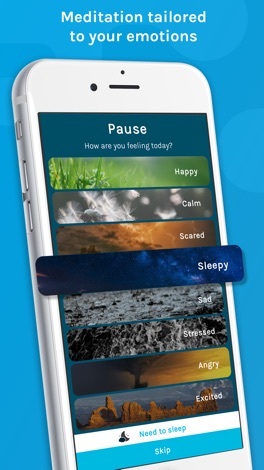 Pause is suited to beginning or advanced meditators, and was designed by an innovative team of experienced meditators, psychologists and cognitive scientists! Our Foundation develops an awareness of meditation, the ways it can help and support you, with many helpful tips. Our Series focus on specific themes, such as stress, emotions, or the many ways of loving. Our Basic Skill series guide you through the core of the meditative process - simply sitting down and focusing on our breath. Our SOS session is designed to guide you through a developing panic attack. 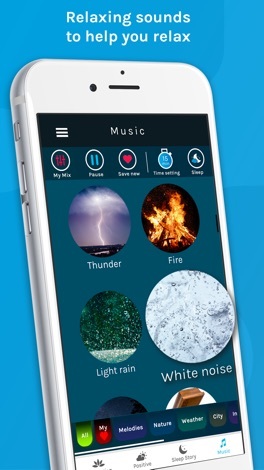 Then, when you feel confident, you can easily use our Timer and meditate by yourself. Make friends with your inner self, and cultivate a state of calm and serenity. Explore Pause through our basic sessions - before signing up! Hit play and start breathing! Explore our Series and learn to deal with obsessive thoughts or unpleasant feelings. 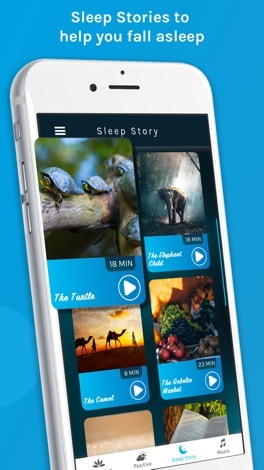 The app is available in English. 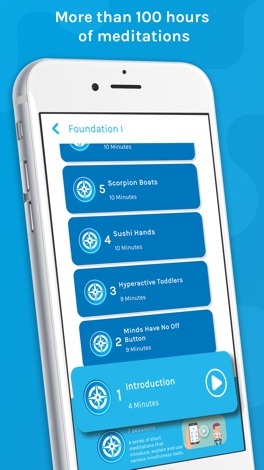 Download Pause, sign up and get started on our Foundation series. 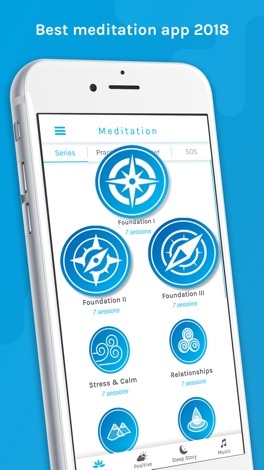 Then sign up for the Pro version in order to access more guided meditations and relevant themes. Download our sessions so you can access them offline. Once you've chosen your subscription and confirmed your order, the payment will be charged to your account, with the right price for your country. The subscription will automatically renew at its end date. You can stop the automatic renewal any time. To avoid the renewal, cancel it at least 24h before the end date of your subscription. No refund is available for unused time. Let's chat with friends and family with I Am A Super Star Singer Stickers. Simply select your favourite sticker and custom your best messages. Start sharing your singing styles with iMessage today. Purchase Now And Be The Rising Celebrity!!! !